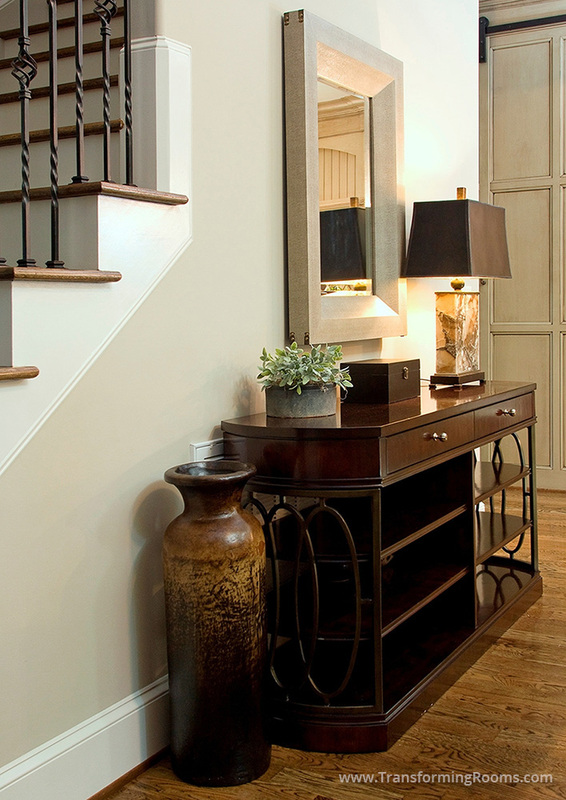 This console table, mirror and lamp made this foyer feel inviting. 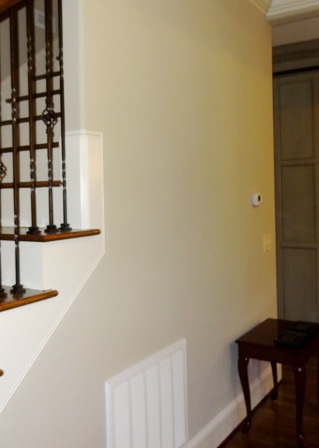 Our Oakridge, NC client was thrilled to hide the vent, with open shelving to allow air flow. Our pottery and accessories complete the look. Notice we can update a room overnight. We are the best source for the furnishings and accessories in the triad. We make it easy, with on site viewing!